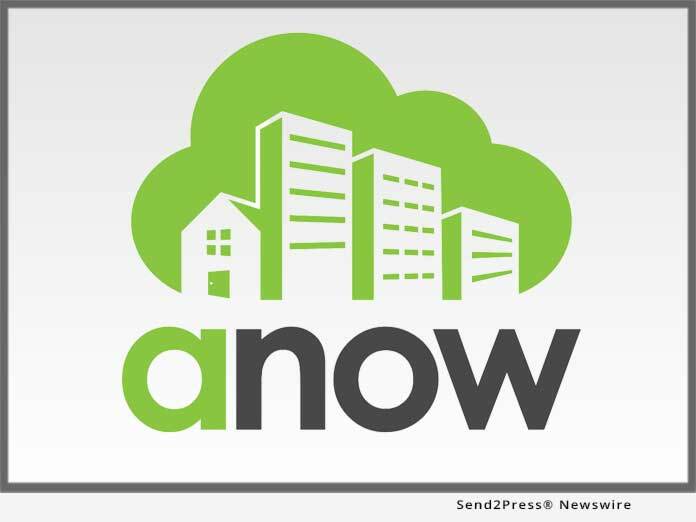 RED DEER, Alberta, Jan 15, 2019 (SEND2PRESS NEWSWIRE) -- Digital appraisal management software developer Anow reported a record 110 percent year-over-year increase in appraisal orders processed through its core appraisal office management platform in 2018 despite an industry-wide, market-driven drop in orders per customer. The announcement follows a year punctuated by major product launches and enhancements as the growing firm continues to lead the appraisal industry in innovation. "We're proud to put appraisal firms that use Anow light years ahead of their competition," said Anow Founder and President Marty Haldane. "In 2019, we'll continue to redefine the speed, efficiency and transparency with which appraisers work with mortgage lenders and other clients." Just last month, Nations Valuations Services integrated Anow's appraisal management software into its AppraisalTRAX(TM) management system, fueling faster turn times for its 16,000-strong appraiser network and an improved experience for its mortgage lender customers. In September, Anow filed patents to protect its proprietary mass collaboration technology, which enables teams of appraisers to radically reduce turn times by working simultaneously on appraisal reports and which Anow expects will power the next generation of bifurcated appraisal products. Anow also filed patents on its proximity-based assignment system designed to improve the borrower experience and reduce friction in the inspection-setting process. In August, the company announced its forthcoming Anow Enterprise, a platform for mortgage lenders that enables instant, on-demand appraisal booking and leverages artificial intelligence to pair lender deadlines and quality-control criteria with the best appraiser for the job based on availability, travel schedule and workload. May 2018 saw the introduction of Anow Connect, a platform that connects appraisal firms directly with their customers via a branded, mobile-first portal that automates appraisal order acceptance, scheduling, status updates, file sharing, messaging, report delivery and payment collection. Anow also rolled out over 4,100 feature enhancements designed to simplify the lives of appraisers and help make their businesses more efficient. These included significant enhancements to Anow's mobile appraisal and home inspection platforms; simplification of Anow's payment collections, payment processing and payroll systems; significant improvements to the APIs that facilitate integrations with Anow's partners; enhanced reporting; and architectural changes to accommodate the platform's growing volume of appraisers and orders. Anow also added new capabilities that enable multiple appraisal companies to more seamlessly work together and gave users the ability to import work history into Anow. Anow is currently accepting participants for a closed beta of its next appraisal software innovation, Anow NEXUS, which is being developed with input from the American Society of Appraisers (ASA), the National Association of Appraisers (NAA) and the Business Association of Real Estate Appraisers (BAREA). For more information, see https://anow.com/NAA. Anow is an appraisal management software developer that simplifies the way real estate appraisers manage their businesses. Launched in 2011 by multi-generational appraisal professional Marty Haldane, Anow streamlines a wide range of everyday appraisal processes while offering unmatched business insights to help appraisers compete in today's digital environment. Powerful order tracking, job assignment, collaboration and scheduling tools allow appraisers and administrative staff to save time, assign appraisals more easily and deliver exceptional service to clients and mortgage lenders from any web-enabled device. Advanced reporting enables business owners to manage fee competition and turn times with ease. Anow is headquartered in Red Deer, Alberta.